Meditation in Flying is the latest design to be launched by artist and homeware designer Anna Jacobs and it’s become our new favourite. Soft bolster cushion, £65. Extra large shade, £240. It was originally painted in pen and ink on watercolour paper which now works beautifully on cushions and lampshades. The new, more muted colour palette will no doubt appeal to a whole new generation of admirers. Linen cushion, £65. Medium lamp with black flex, £199. 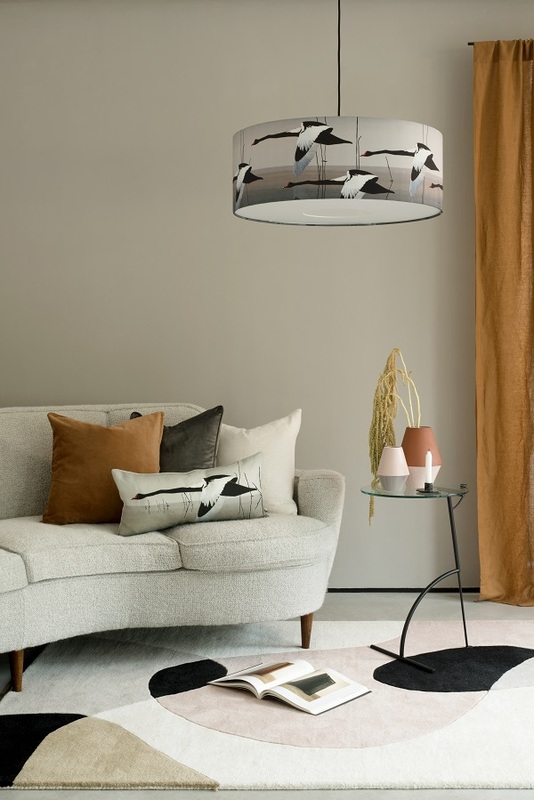 Anna says she was inspired by reading about an unusual sighting of a black swan in Norfolk and was intrigued by the strength, yet elegant grace of this flying bird. The shades are handmade in Shropshire with a new generation tech canvas which makes them more hard wearing and easier to clean. 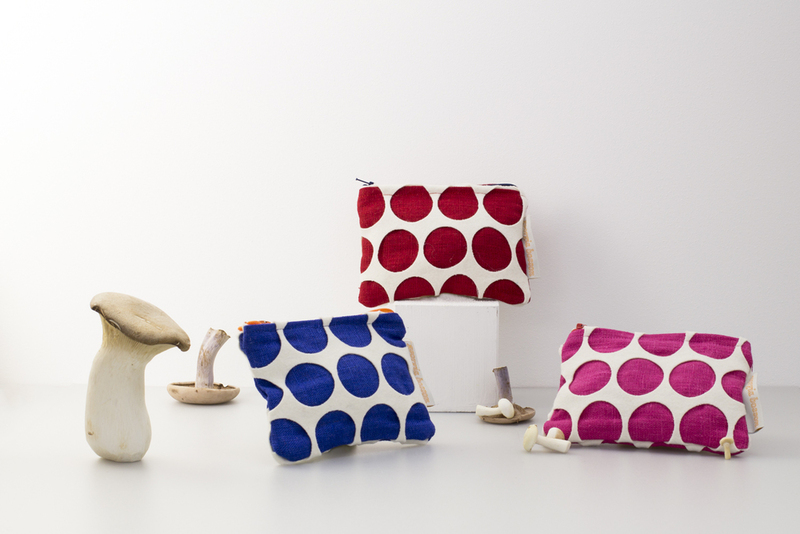 The cushions are printed on cotton union and are hand-made in South East London. 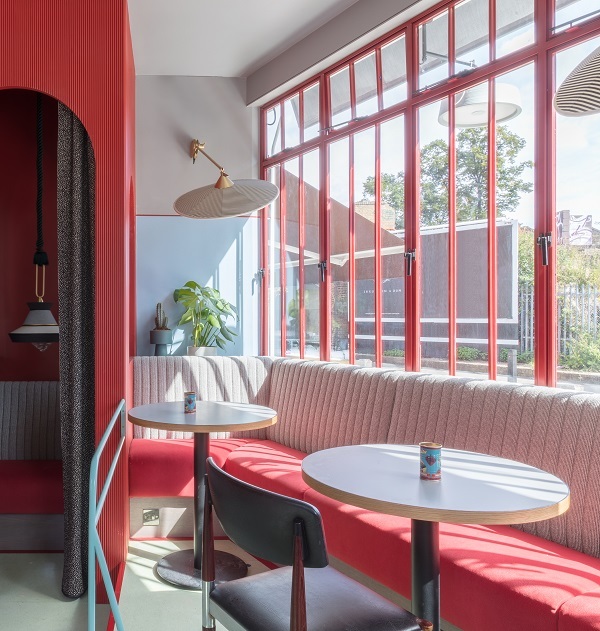 Sella Concept’s Gayle Noonan and Tatjana von Stein have just added the finishing touches to this new casual bar-restaurant Piraña with a bold colour palette and a playfully retro style. 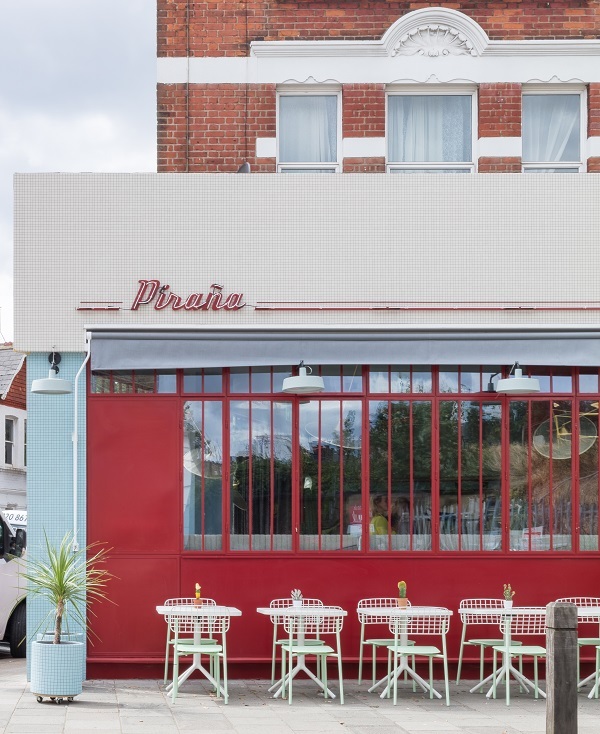 With an address in Balham - South London’s up-and-coming neighbourhood du jour - this South American-inspired bar and restaurant is located in the area’s emerging nightlife hub of Bedford Hill. Blue and white tile mosaics and striking window façades are dominated by a red metal framework. The front room has a banquette-lined platform. The Chef's Table looks onto the Piraña kitchen. Materials include timber slats and a bespoke floor in jade terrazzo. 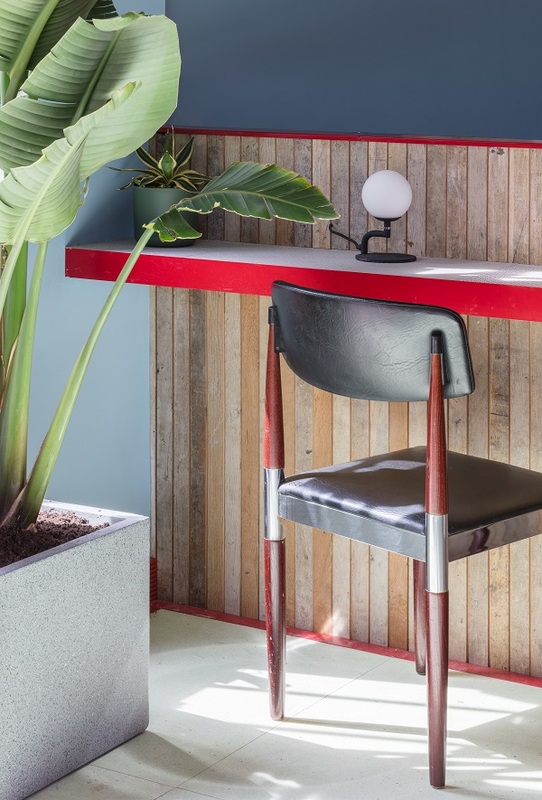 Apart from the chairs and lights, every fixture and item of furniture in Piraña has been custom-designed for the space by Sella Concept – including the booths, bar, banquette, tables, stools, floors and bathroom sinks. The most impressive aspect of the project, however, is how they’ve been able to cram a range of distinct moods and atmospheres into a relatively small space. 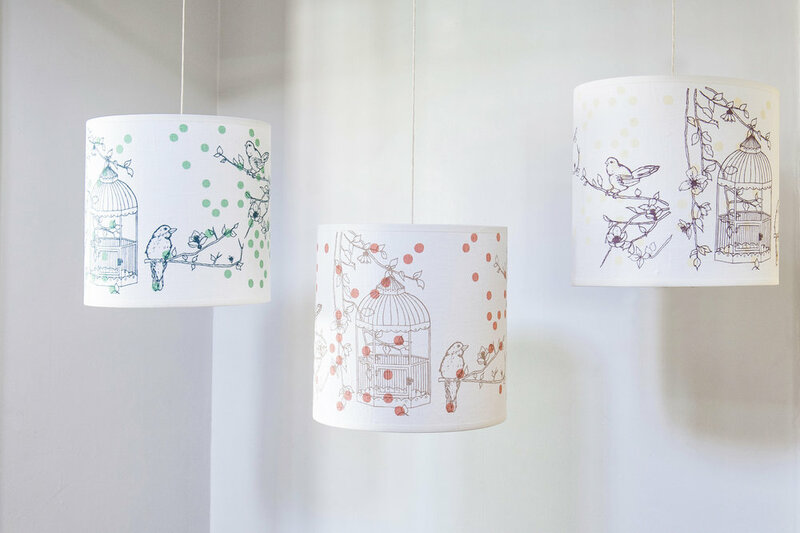 Laura Felicity Design specialises in screen-printing high-end British wallpaper and interior products such as cushions, makeup bags, lampshades and ceiling shades. Alongside her small team, based in Britain, Laura individually hand draws and prints to make each product unique for her clientele. All products are made in Britain with care and attention. The designs are all made with a personal touch to make your home feel and look special for years to come. Each interior collection at Laura Felicity Design is inspired by her everyday surroundings, from long walks in the picturesque English countryside to the buzzing London life. 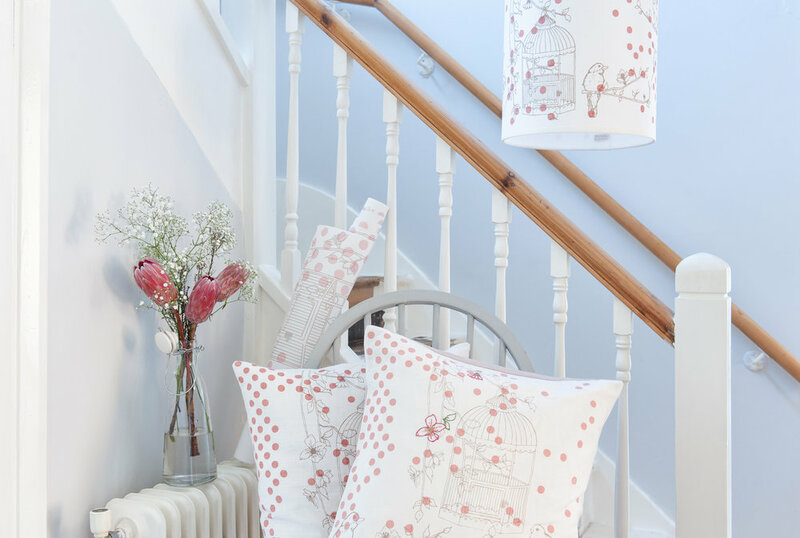 Laura also works with individual clients on bespoke designs, both of which enhance Laura Felicity Design to produce distinctive, interior products for your home. This also enables you to purchase high-quality and exclusive wallpaper and home accessories, compared to mass-produced items. This is an advertorial feature for Safestore. It is a quirky concept, making a stand against the minimal lifestyle and interior trend that so many of us are adopting. Safestore, Self Storage is celebrating unique collections and the power of preservation in a brand new video series which, in part, showcases London based Suzette Field’s extensive taxidermy collection. It is definitely an eclectic mix, from elegant swans to imposing game heads, Suzette’s collection contains specimens from a variety of eras and countries - all ethically sourced, of course. Adorning her London home with preserved animal oddities, her fascination stems from a drive to curate Mother Nature’s beautiful work. However aside from the aesthetic qualities, taxidermy also serves historical purposes as it has a central role in the scientific understanding of evolution. Scientists in the past, present and future will been able to study preserved animals from a variety of populations, and specimens become particularly important when the population has become extinct. “Collecting ‘stuff’ is a way of preserving the past for future generations – I guess you could say that a taxidermy collection is a very literal translation of that” says Dave Cox, Marketing Director. “We’re championing collections like this because lifestyle magazines and bloggers seem to have an idea that minimalist is best”, Mr Cox goes on to say. “But we’re reacting against the notion that to be happy, you need to live in a white, pristine, minimalist box. We’re championing stuff, because stuff is great”. So whether you are a fan of taxidermy or not, you cannot deny that it is indeed intriguing and quirky with a totally individual flair. A trend that is here to stay. What the video here of the extraordinary take on Suzette Field's passion for her taxidermy collection. HJEM was founded in 2014 by British Art Director Emma Richmond who as a graduate from UAL & after working as an AD in several leading agencies decided to make a lifestyle change & move from Paris to set up her design studio in the Alps where her lifetime love of nature & design inspired her to create the independent home wares brand HJEM, meaning Home in Danish. Simplicity, sustainable design & well-crafted products are the foundation of our design principles at HJEM. As an independent company, HJEM is passionate about supplying our design-conscious audiences with stylish lifestyle collections where purity, aesthetic & functionality join with everyday products to create a range of interior products that meet real-life needs. The creative process that defines HJEM’s design philosophy often begins with the idea that simple, clean, functional designs with strong personality help to create classic design pieces. Taking inspiration from the raw beauty of the alpine mountains & lakes, our range of interior & children's products is loyal to strong fundamental values which are supported by our extended use of organic & responsibly sourced natural materials. All our products are manufactured in Britain using sustainable production methods. With priority given to working with companies that have a strong ethical & environmental company philosophy. Taken by her grandparents at an early age to craft centres, Taz cites gazing up at a potter at work as her earliest inspiration. From there followed a traditional route from a GCSE in pottery, right through college and then on to do a BA at university. After taking a break to get married and have children, Taz then returned to the craft, completing her Masters and it’s here where she found her own voice. Modern, fresh and vibrant, Taz’s quirky use of paint splash effects has won her many fans, as well as the occasional telling off. “I have got into trouble with a few traditional potters, which I kind of like actually. It appeals to my sense of humour!” Taz has also recently enjoyed a whirlwind of accolades, from being shortlisted for the Confessions of a Design Geek bursary, to being chosen for the New Designers ‘one year on’ award, and seeing her products grace the shelves of Heals, Future and Found and The Southbank Centre. All this success feels a million miles away from where she works in a log cabin on the edge of Exmoor. Here, Taz is surrounded by a wealth of traditional artists: “There are many traditional potters in north Devon and I’ve learnt an awful lot from them, but I also wanted to find my own voice and work with more contemporary colours and materials.” While her work isn’t overly subversive, it is a little cheeky and plays with the notion of making everyday objects extraordinary. Drawing inspiration from Tudor pottery, which at the time was considered a disposable commodity, Taz skillfully plays with notions of old and new, mixing materials with clay that you’d not expect, such as rubber. “Plastic bottles are mostly seen as just something you use in your everyday life, rather than being considered extraordinary objects. But by putting these everyday objects into a different framework and situation they can be seen in a different light.” Perfect for those of us who are a little wary of injecting bold brights in a large way, Taz’s extraordinary objects offer the chance to bring a pop of colour to an otherwise neutral space. Taz has achieved so much in a relatively short space of time, but she’s not resting on her laurels. With more to come, including a limited edition range for Mockbee & Co, and a potential collaboration with textile designer Charlotte Nash, there’s a lot to look forward to. And while she isn’t able to reveal it all to us just yet, it’s clear that the future is looking neon bright for Taz Pollard. Words by Ruth Garner, photography by John Russell taken from the February 2014 of Heart Home magazine. Jewellery designer Emma Cassi invites us into her lovely home and gives us a glimpse into her enviable life. It’s been 13 years since Emma Cassi left her native France to set up home with her husband Bertrand in South West London, and today the couple couldn’t be happier with their lot. Emma is a former stylist and now makes a living from her own hand-made lace jewellery designs, selling pieces to independent shops as well as larger stores and online. Emma’s home reflects her personality completely; it is very feminine and completely cosy. This very personal space totally matches the style that can be seen in Emma’s work, with a mix and match of old pieces and things that have been hand-made by Emma herself. “Overall though it’s full of personality and feels very homely, with lots of knick-knacks everywhere,” says Emma. This article originally appeared in the Spring 2013 issue of Heart Home magazine. A shelf in Gudy’s workshop is immaculately styled, and is home to a beautiful collection of her ceramics. Eclectic is the perfect word to sum up German-born Gudy, who has lived in Spain for the past 25 years; 20 of which she has been in Barcelona. Known for her visual styling and moodboarding workshops, Gudy has long been passing on her expertise to others. Gudy also forecasts trends and shares her finds on her blog, Eclectic Trends as well as contributing to the popular blog, decor8. 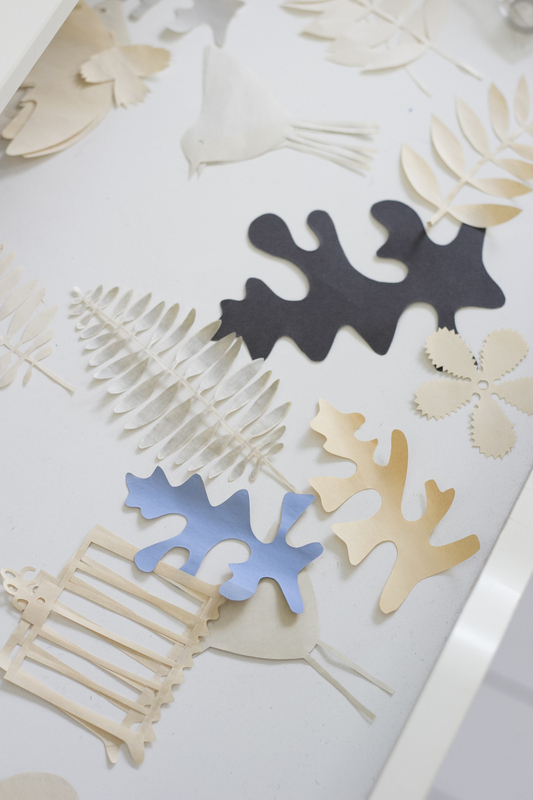 For her debut collection Gudy worked with paper clay, attracted by its light and fragile nature. “It is basically porcelain mixed with paper that disappears during the firing process in the kiln, leaving a really nice texture.” Her creations are nothing short of stunning. Gentle, yet exuding strength and elegance, the textures are so intricate and in their natural all-white state each piece’s individuality shines. Ideal vessels for air plants and succulents alike, her pieces sit in the light-filled workshop. This curated and styled space is both exquisite and effortless and reflects Gudy’s passion for interiors. Currently renting a workshop space with 15 other ceramicists, Gudy is finding joy in the community: “We support each other and the daily contact makes it so much fun. You share your experience, sometimes materials and the kiln, which makes it so much more flexible for all of us.” Her workshop is home to her ceramics collection – and is a space that is light, airy and full of character. And, after spending many years travelling extensively for various projects and to attend all the major interior trade shows, Gudy savours a daily ritual of a café-con-leche on the terrace, no matter the season. Ceramics with a side dose of coffee – the perfect partnership. A Creative Life originally appeared in the September 2014 issue of Heart Home magazine. It's been a while since we featured Laura Felicity Design. In fact it was back in 2011 (you can read the interview here) and since then the lovely Laura's company has been going for strength to strength. 2014 was a very busy year behind the scenes she informed us. The company underwent a re-brand, she had some gorgeous new photographs taken to really do her designs justice and her website had a re-vamp. Have a pop over there now it's looking fabulous. And 2015 is going to be no less busy with new products being released, including a digital print wallpaper collection, with complimenting screen printed home accessories. And a reduction in retail (and trade) prices! And I've no doubt we'll see Laura's smiling face around a few trade shows too. 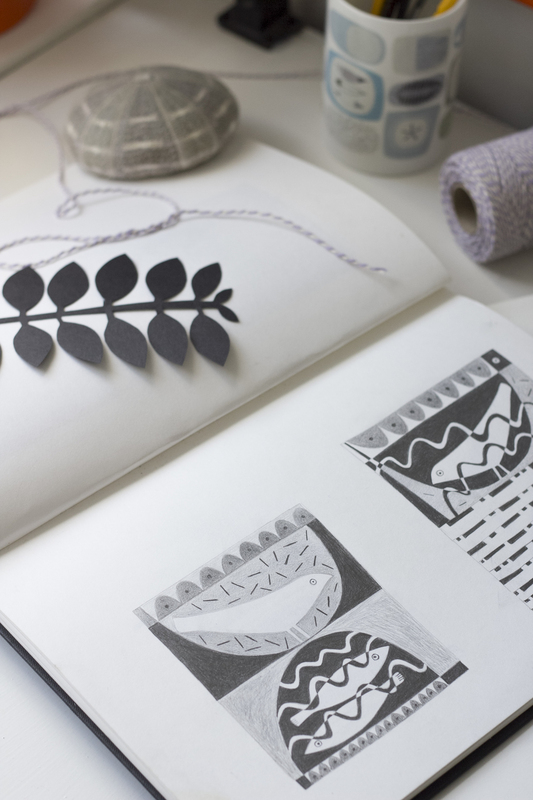 Textile designer/maker Georgia Bosson creates wonderfully tactile products ranging from cushions to notebooks and napkins. 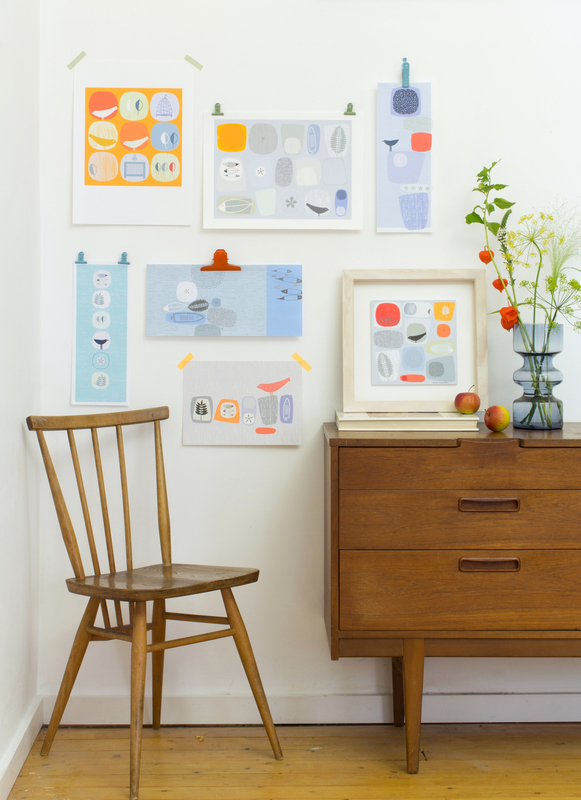 Everything is printed and handmade in her Bermondsey studio. Georgia recently launched her new collection at Design Junction and you can find her at several upcoming Christmas market dates including Crafty Fox Market and Renegade Craft Fair. The recent shoot with stylist Olivia Bennett showcased the unique way Georgia layers a felt material over her cushions to create an organic look. Check out some more images below and shop online here. From her garden studio in Berkshire, Textile Designer/Maker Jules Hogan creates a beautiful range of cushions, hot water bottle covers, lavender pockets scarves and shawls. Inspired by 1950’s colour palettes, geometrics, striping and re-worked Fair Isle patterning, it's just what's needed as the Autumn weather closes in. Green Patchwork Cushion, 100% felted Scottish spun lambs wool. I originally met Jules at a series of shoots I did for Folksy last year. I was blown away by the quality of her work, in particular the colourways. You can see Jules in person at The Farnham Maltings this Saturday 18 October at The Surrey Festival of Crafts. Here's a few more samples, which can all be purchased direct from Jules' website. Down a leafy lane in Dulwich, artist Sarah Hamilton creates prints, cards, woodblocks, trays and other delightful products. Her Mid-Century house was renovated with great care and it's simply stunning with views over the city. The studio itself has an inspiring atmosphere, filled with colour. Sarah draws inspiration from textured materials and is 'obsessive' getting her colours accurate when printing - designers take note! 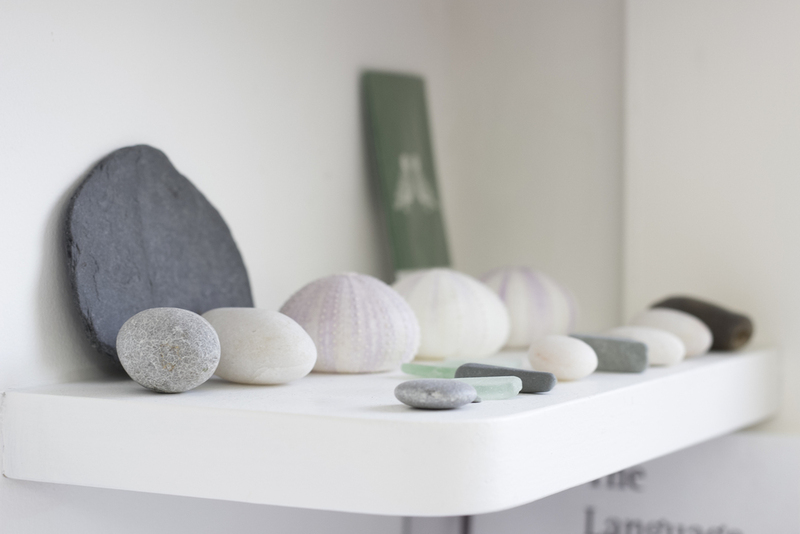 Pebbles, seeds, leaves and fragments of nature are recurring themes in Sarah's artwork, her style is instantly recognisable and has been refined over many years. She also works as consultant for interiors projects. Sarah often uses watercolours as part of her design process. 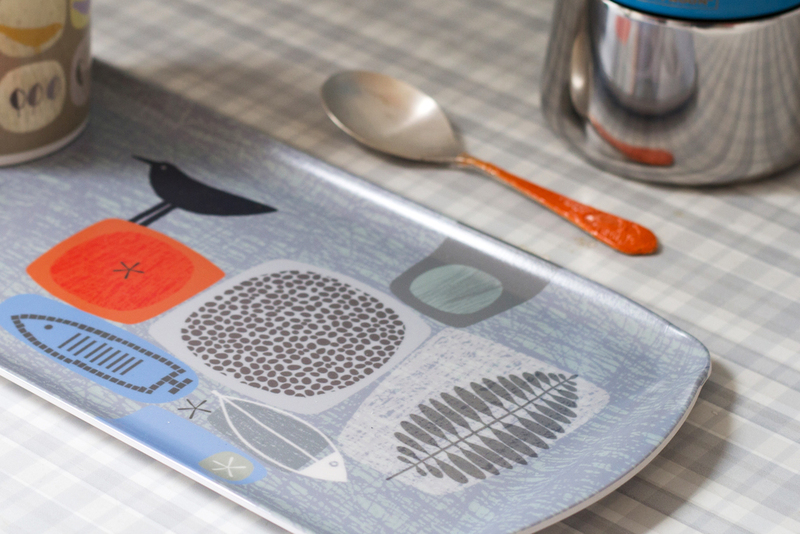 The product range includes mugs, cards, prints, woodblocks and most recently, a lovely range of tea trays. Click to view some more images in the gallery below and browse the shop on Sarah's website for more. Photography by Yeshen Venema. Styling by Joanna Thornhill. Dimity Fayre was set up by two friends (both ex-White Company) with a passion for UK craftsmanship, and together they have created a platform for makers and designers to sell their products to a wider audience. It was their vision to celebrate the tradition of the artisan and have a luxury online boutique, and we think they have certainly succeeded in that. In order to take the hard work out of shopping for the customer they have handpicked a beautiful collection encompassing prints, stationery, ceramics and pottery, jewellery, textiles, garden products and gifts and as they are continually on the lookout for new, exciting designers and craftspeople the collection will naturally evolve and grow over time. Oh, and when you visit the website have a look at the baby cable knit cardigans. They are so cute! A gift for a loved one or for yourself? Alexandra D. Foster believes that luxury, quality and style are paramount. To this end, each of her cushions is printed and hand sewn at one ofthe most highly regarded mills in northern Italy’s beautiful town of Lake Como. Even the braided trim is crafted completely by hand and sourced from Italian passementerie artisans. Motifs and designs are individually and thoughtfully created by Alexandra, all of which are directly inspired by her world travels. Selected either for their intricate pattern details and the complexity of their colour combinations, or their classic geometric elegance, the designs underscore Alexandra’s belief that luxury begins at home. 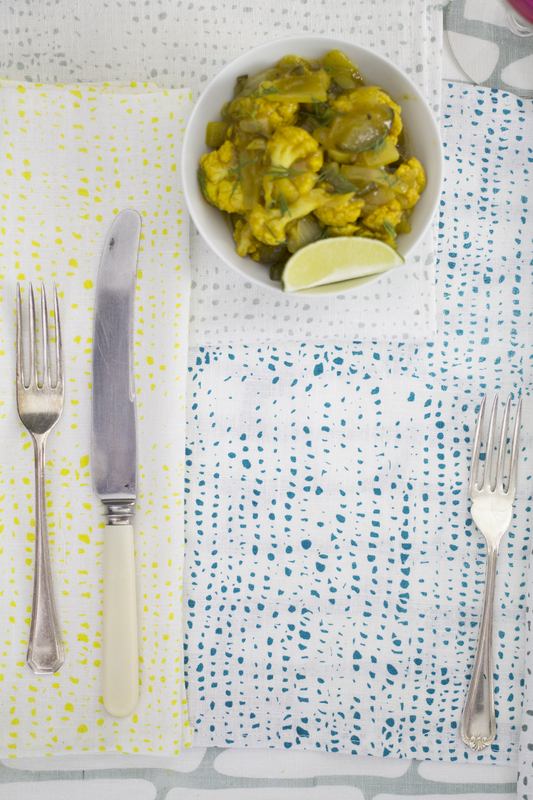 Bright and sassy, these designs add character to any home! Devi Singh is a printmaker and illustrator living in Aldeburgh, Suffolk. Born in London, Devi studied fine art at Bishop Otter College, Chichester,specialising in printmaking. After graduating in 1997 she began to produce hand-printed bespoke stationery and greetings cards under the name Dazy Daisy Designs. In addition to her work as an artist, Devi was the founder and owner of the popular south-London gallery and arts centre, MeltingPot. Since 2003 she has devoted more time to producing prints and illustrations. Her work has been shown in solo and group exhibitions in the UK and appears in private and corporate collections including: JH2 Media, KLM Royal Dutch Airlines, Blue Sea, St. Elizabeth Hospice, The Peligoni Club (Greece), Ship Co, Ashford Hospital, Classical Associates, Silversilver,Chopping's Hill, Spence & Spence and Thirty Second Films. Devi will be presenting an exhibition of new works titled 'Scratch the Surface' which will take place in Ely,Cambridgshire where it will be hosted in the prestigious The Old Fire Engine House, a mid 18th century farmhouse, situated to the west of the magnificent Ely Cathedral. Back in January 2013 I was exploring the HOME show (in particular the Homegrown section), when I discovered Ciara McGarrity’s Waffle designs. I’m a big fan of texture in products, so the detailing and feel of the cushion fabric had me hooked. There are literally thousands of cushion designs online, so it's a real credit to Ciara that she has been able to create such a unique product. Waffle’s latest designs, released earlier this year, include the Classic Range. These pieces are hand-embroidered using up-cycled carpet yarns rescued from a carpet factory which closed down in Yorkshire. They are then hand-dyed at Ciara's East London workshop. 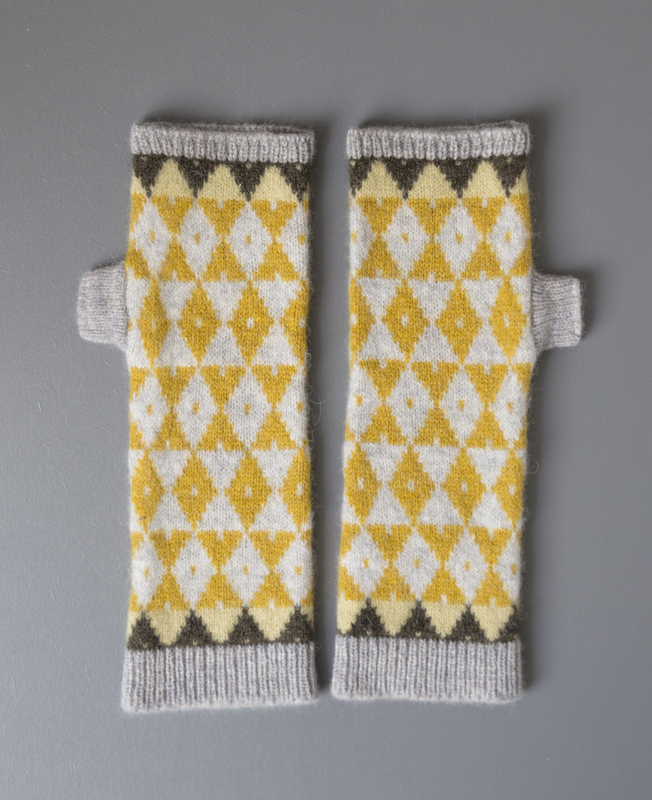 The colour ways are more muted with a subtle criss cross pattern. 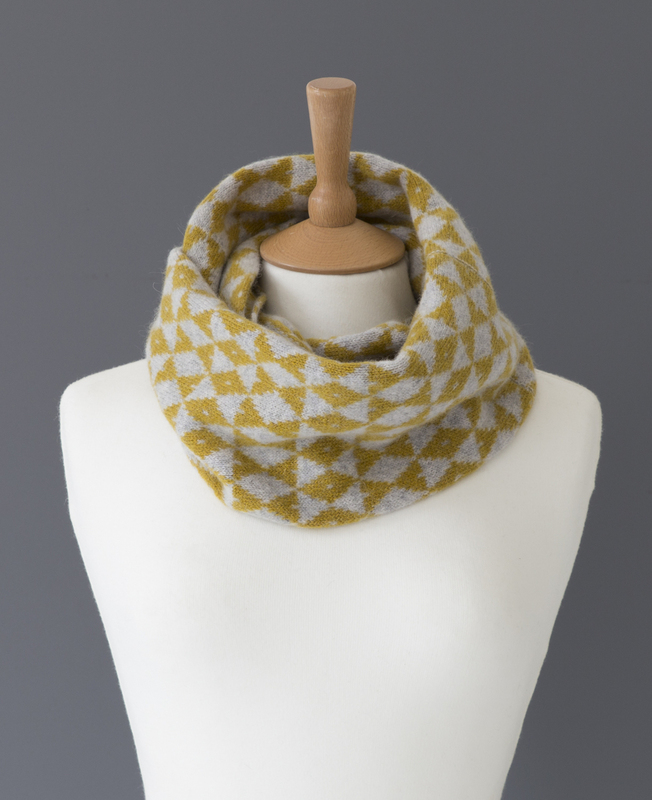 Following on early interest from Folklore (who supported Ciara with a bursary at the HOME show), Waffle is now stocked by Artellier159 in France Wolf and Badger in London. Not to mention, an exclusive range of colours was developed for TOAST in the UK. The Pipe Range - complimenting the 4 colour ways in the Mindful range - feature 4 subtly different graphic patterns is also stocked with Skandium in the Republic of Fritz Hansen store in West London. With the Bespoke side of the business Ciara offers a made to measure curtain and blind service. In most cases she uses customers own fabrics, but she can also provide bespoke solutions using the Waffle fabric. The advantage is her ability to customise using the coloured wools to coordinate a space. All hand finished in traditional methods - Ciara is a self confessed ‘curtain geek’! I asked Ciara, what was the best thing about being a designer maker? 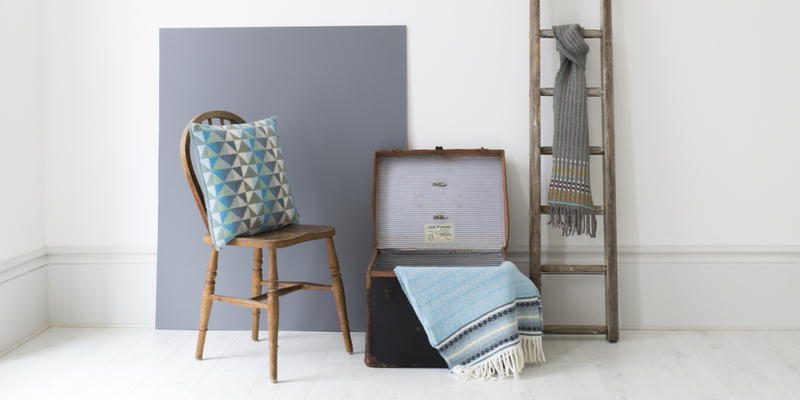 You can see Ciara and her work at Made In Clerkenwell this month where she will be launching new colours and new blankets. Waffle will also be exhibiting at Design Wallah in Southbank with Shake The Dust. We become immediate fans of Fanny Shorter's work when we met her at Home London as the winner of Confessions of a Design Geek Bursary. Fanny Shorter is a designer and printmaker, her distinctive, detailed work is largely inspired by her very English upbringing. The daughter of a physics teacher and a music teacher, she grew up in a school in Winchester, surrounded by idyllic countryside and historic buildings in an aesthetically crowded house crammed with prints and patterns on books, plates, cushions, rugs and wallpaper. English holidays, frequents visits to the V&A, the Natural History Museum and National Trust properties as well as an entire childhood in a school are an evident and enduring influence. She trained as an illustrator and her clients have included Twinings, the Cutty Sark and the Wellcome Collection. She divides her time between her freelance illustration work and expanding her screen-printed product range at her studio in Bloomsbury, London. Products from Fanny Shorter are available from the Southbank Centre shops. Images by Yeshen Venema.